Alpina and Eterna Watches are legendary time-keeping icons in the world of Swiss-made horology. The two brands were both founded in Switzerland in the 1800’s…the latter in 1856 and the former in 1883. Both are also heralded for their innovative introductions in the world of Swiss-made watchmaking excellence as well. In 1938, Alpina introduced the Alpina 4, the world’s first sport watch. The brand’s founder Gottlieb Hauser revolutionized the concept of a sport watch type, instituting the four principles for a timepiece to be considered a true Sport watch: both anti-magnetic and anti-shock qualities, water-resistance and stainless steel craftsmanship. Eterna is noted for its 1948 introduction of a ball-bearing mounted rotor system in its automatic wristwatches. The system helped eliminate both the friction and resistance in the weight of a timepiece that winds the mainspring inside. 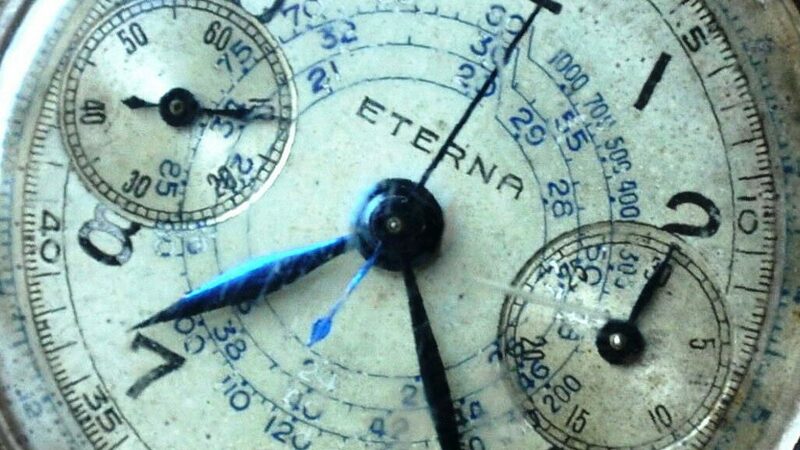 The system also increased the accuracy of the watch as well and propelled Eterna’s presence in the watch industry as many other watchmakers began using Eterna’s inner mechanism movements in their timepieces. More than 130 years since they were both founded, Alpina and Eterna remain relevant and major players in the watch industry today. The two brands are prominently featured at TheWatchery.com, including Startimer, Comtesse, Pilot Heritage and Avalanche styles from Alpina, along with Soleure, Artena, Avante-Garde and 1948 Legacy models by Eterna. 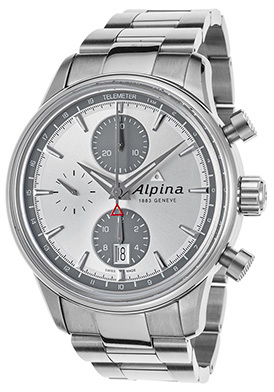 The Alpina Startimer Automatic Chronograph offers exemplary precision and design. 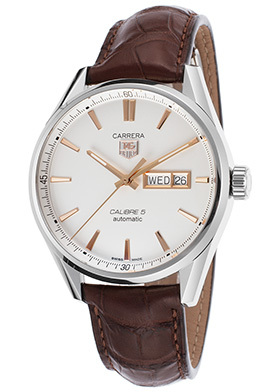 This classic traditional men’s timepiece features the contoured round case in brushed, premium grade stainless steel. The exotic-skin textured black leather strap adds to the classic good looks and has a deployment clasp closure for added convenience. The raised stationary bezel surrounds the silvery-white dial with a telemeter outer dial, small-second and 30-minute sub-dials, luminous hands and Arabic numeral hour markers. An exhibition skeleton case back lets you see the intricate automatic movement inside. 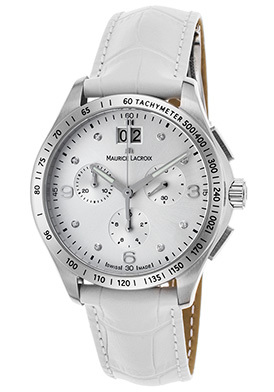 Features include a scratch resistant sapphire crystal above the dial and water-resistance to 100 meters or 330 feet. 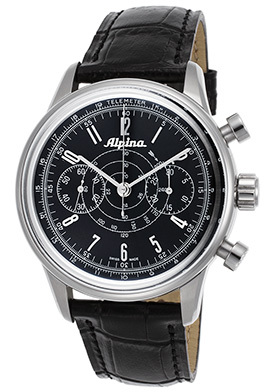 Alpina Startimer Automatic Chronograph is 44mm in diameter and 15mm thick. 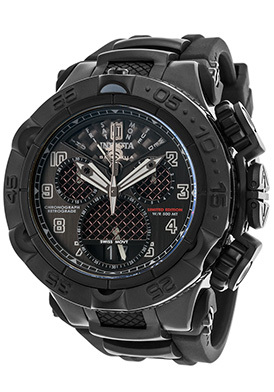 The Alpina Avalanche Extreme Diamond Watch offers premium craftsmanship inside and out. This dazzling women’s watch features a cushion-shaped case in lustrous high-tech black ceramic, presented on a high-performance black rubber strap. Forty-two premium grade brilliant round-cut diamonds are pave-set to perfection on the round bezel. The captivating black mother-of-pearl dial shines with luminous hands, eight inlaid diamond hour markers and polished silver-tone Arabic numeral quarter hour markers. Features include an automatic date window at the 3 o’clock hour, a scratch resistant sapphire crystal above the dial and water-resistance to 50 meters or 165 feet. 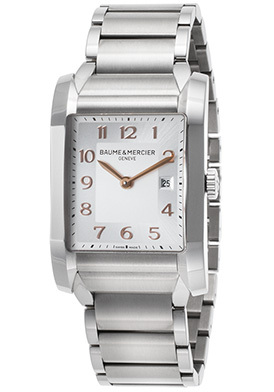 Quality Swiss-made quartz movement inside assures you of precise time-keeping accuracy. 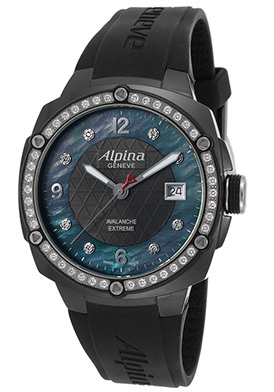 Alpina Avalanche Extreme Diamond Watch is 41mm wide and 11mm thick. The Eterna Adventic Automatic Timepiece for men offers time-honored elegance matched to expert Swiss craftsmanship. The handsome round case in brushed and polished premium grade stainless steel is presented on the handsome black alligator strap with a convenient deployment clasp closure. The stationary bezel encircles the textured silvery-white dial with small-second and 24-hour sub-dials, an automatic date window, polished silver-tone sword hands and black Roman numeral hour markers. The onion-shaped crown with fluted detail adds distinction. An exhibition skeleton case back lets you see the intricate Swiss-made automatic movement inside. 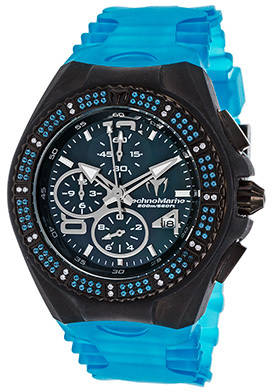 Features include a scratch resistant sapphire crystal and water-resistance to 50 meters or 165 feet. 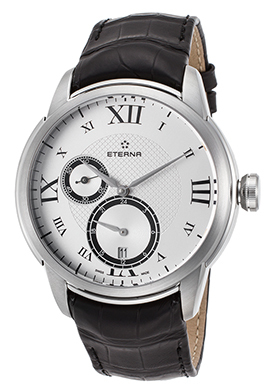 Eterna Adventic Automatic men’s timepiece is 44mm in diameter and 13mm thick. The Eterna Grace Automatic women’s watch offers a glowing display of brilliance and craftsmanship. 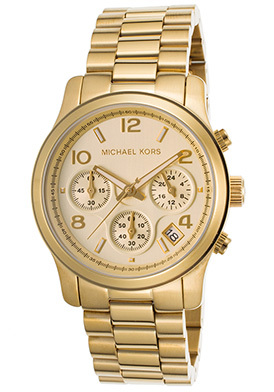 This classic contemporary women’s watch features the perfectly round case is satin finished rose gold-tone stainless steel, presented on the highly attractive triple link bracelet in brushed stainless steel with highly polished rose gold-tone center links and a convenient push-button clasp closure. Shimmering round-cut diamond accents on the outer case adjacent to the fluted crown add to the dramatic design. 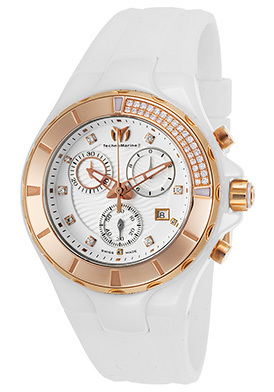 The sunburst patterned white dial shines with rose gold-tone sword hands and raised rose gold-tone hour markers. A window at the 3 o’clock hour reveals the automatic date calendar. An exhibition skeleton case lets you see the Swiss-made automatic movement inside. 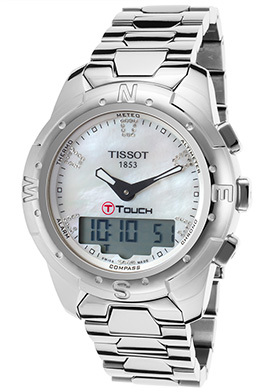 Features include a scratch resistant sapphire crystal above the dial and water-resistance to 50 meters or 165 feet. 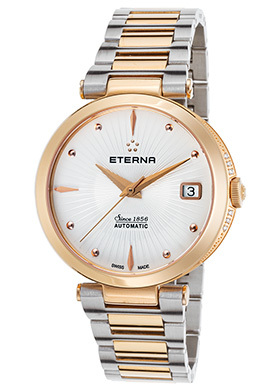 The Eterna Grace Automatic women’s watch is 34mm in diameter and 9mm thick. Vintage Eterna watch dial courtesy of Wiki Commons. 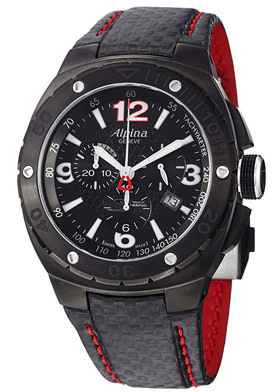 Alpina watches holds a rich and esteemed legacy in watchmaking history. Founded in 1883 by watchmaker Gottlieb Hauser to unite various independent Swiss watchmakers, the brand was originally named the Alpina Union Horlogère S.A. The Alpina Union was originally developed to manufacture movements and timepieces by forming an alliance of cooperating manufacturers and suppliers. The union soon started to develop and produce in-house calibers and chronometers. By 1901, the Alpina was a registered and trademarked brand appearing on high-end caliber and timepieces. In 1912, Alpina manufactured one of the first true chronometer timepieces at its Glashutte factory. The brand is also the first watchmaker to establish a guarantee for its products, domestically in 1908 and internationally in 1926. Alpina is most renowned for introducing the world’s first sport watch, The Alpina 4 in 1938 under Hauser’s helm. Hauser revolutionized the concept of this watch type by implementing the four principles for a timepiece to be considered a true Sport watch: anti-magnetic, anti-shock, water-resistant and stainless steel construction. Alpina today remains an independent watchmaker under the ownership of the Frederique Constant watch company. The brand celebrated its 130th anniversary in 2013 and remains a formidable force in the Swiss watchmaking industry. 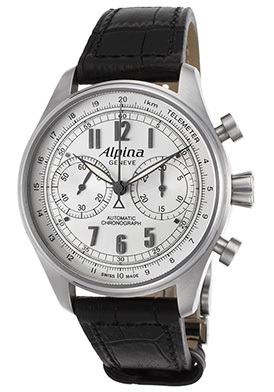 You’ll find many men’s and women’s Alpina wristwatches at luxury retailer The Watchery, including the Sebring Men’s Racing Chronograph. This dynamic racing inspired sport timepiece features a round, black ion-plated steel case on a handsome patterned black leather strap and a red lined interior. The stationary, black PVD coated bezel surrounds the legible black dial with three subdials, luminous hands and hour markers. Features include an automatic date calendar, small-second, 30-minute and 12 hour registers. A locking screw-down crown and caseback provide water-resistance to 100 meters or 330 feet. 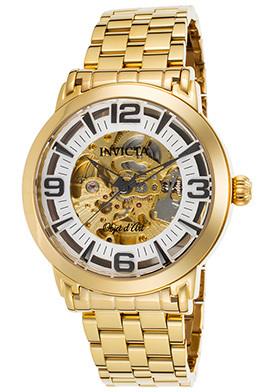 Premium Swiss-made quartz movement inside assures you of time-keeping accuracy. 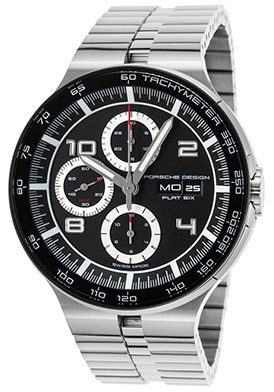 Chronograph is 47mm in diameter and 11mm thick.